Happy Saturday! 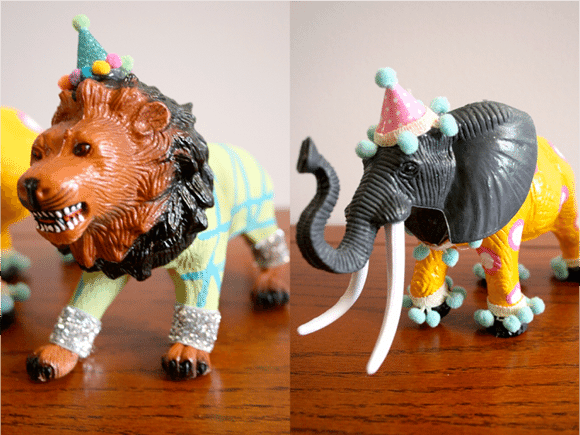 It’s Kelly from The Little Things Blog bringing you a whimsical DIY today. I like to think of myself as a DC, “Designated Crafter”. Most of the people who know me will tell me about a new project they really want to try and then follow with, “Do you think you could do that?” or “You could probably make that, right?”. Now it sounds like I don’t enjoy this roll in life but it’s the exact opposite! I love it! That brings me to today’s little DIY ditty. One of my very best friends’ little girl is having her 2nd birthday party this weekend and she had all of these fabulous details she wanted done but just didn’t want to spend the money this year. She showed me what she was looking at and followed with a tentative, “Could you do that?” Of course! So, here one of the fun projects I worked on for little Miss Sophie. 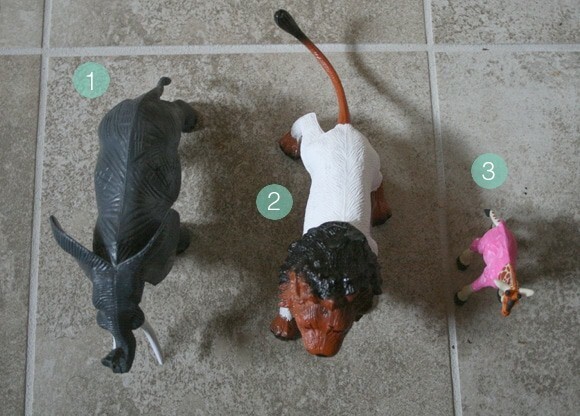 First, paint a layer of white on the animals (these were only $3 each at Michael’s) and allow to dry. This will really make your top color pop. 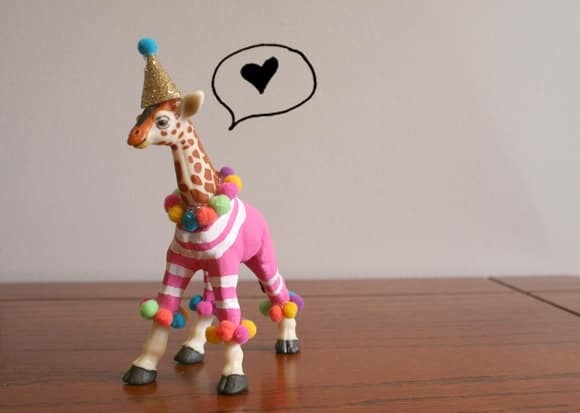 You may need a few coats depending on color, like the bright pink on the giraffe. I even found there to be a difference in coverage between the different brands of paint I used. You never know. Every good party has hats right?! 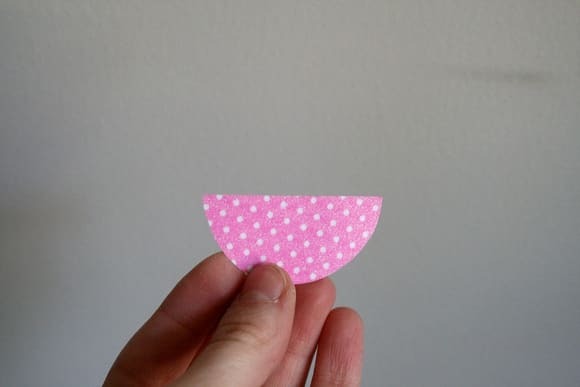 Cut semi circles from scrapbook paper, size will vary depending on the size of your animals. 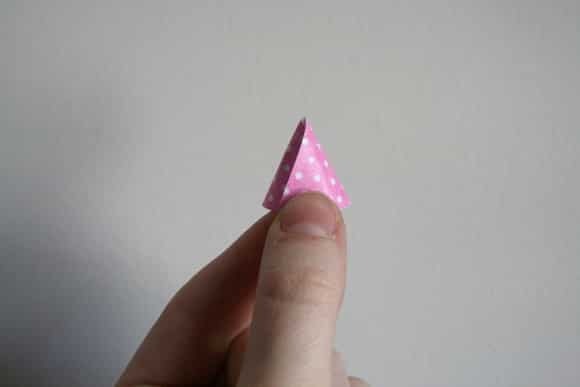 Fold them into cones and glue together. 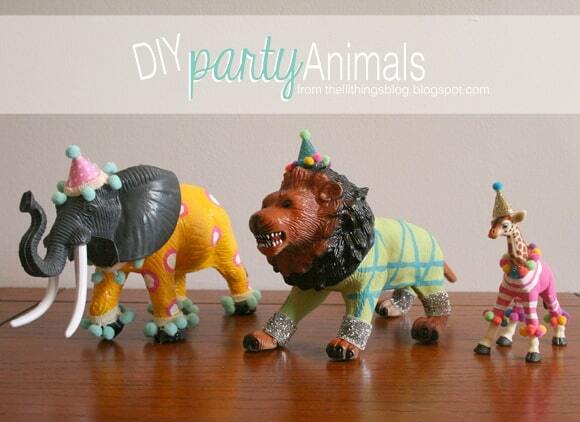 Now add some pattern and trim details and your animals are ready to party! This little lady is headed for the top of the cake. Can’t wait to see all the details come together! what kind of paint you used here ? I am obsessed with these little animals! Did you end up making more to sell? I’d love one for my daughter’s 1st birthday cake! Hey Whitney! I actually ended up going an entirely different direction with my shop so I didn’t make any to sell. But luckily, they are really easy to make. :) Happy Birthday to your little lady! 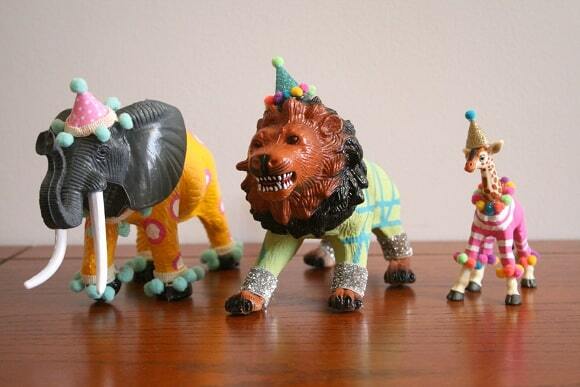 OH MY GOSH, these are so cute!!! I’m totally picturing them on a birthday cake for Gracie’s birthday this year!!! Thanks so much!! They were a lot of fun to make!